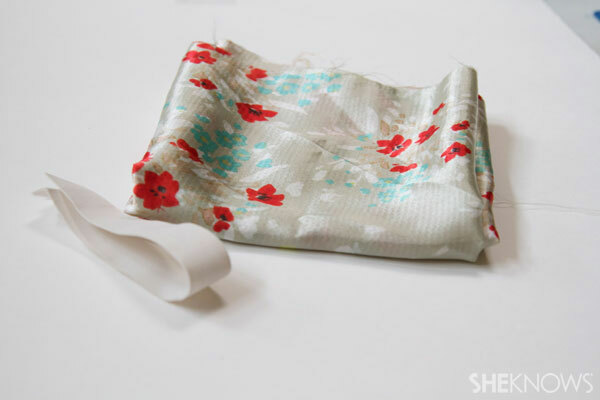 You want to know the best thing about a nice, thick cloth headband? You can throw one on when you are having the worst of hair days, and you’ll still look effortlessly chic. 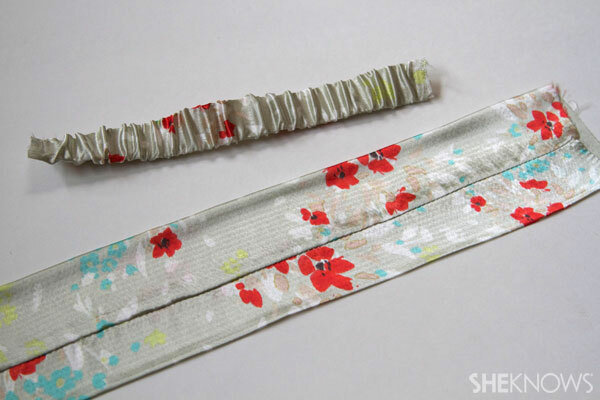 The best part is that if you happen to be a fabric scrap hoarder, you probably have enough material to make a different hairband to wear every day for a month. 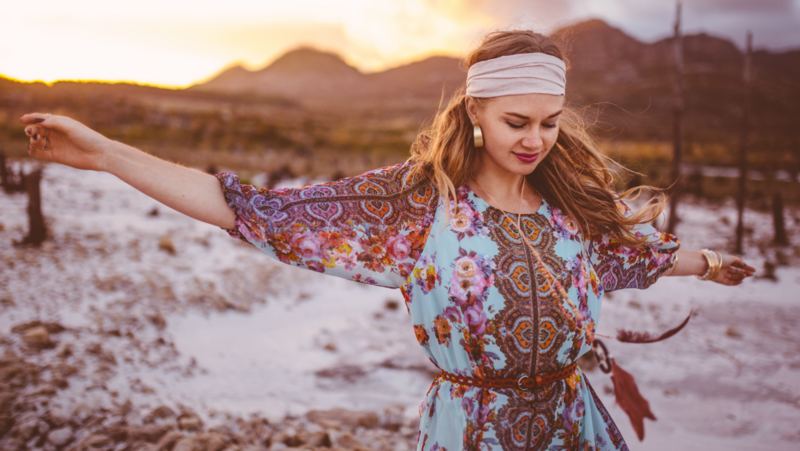 Boho vibes, forever. 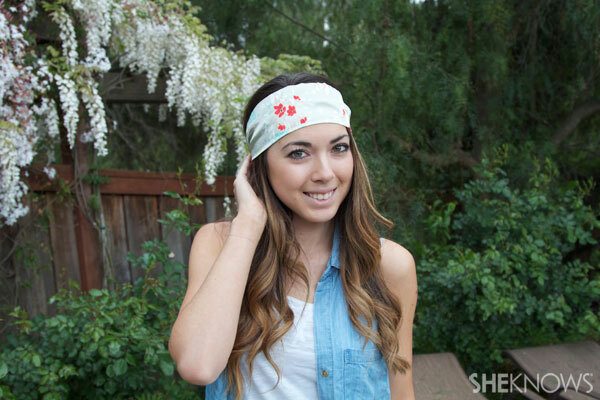 Here’s how to DIY yourself a super-cute wrap-style headband. 1. 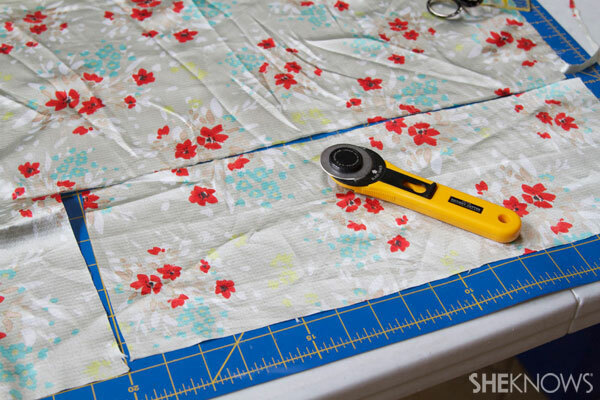 Cut one rectangle size 7 x 17 inches to make your front piece. I recommend a rotary cutter because it is quick and easy, but you can use scissors if you don’t have one. 2. 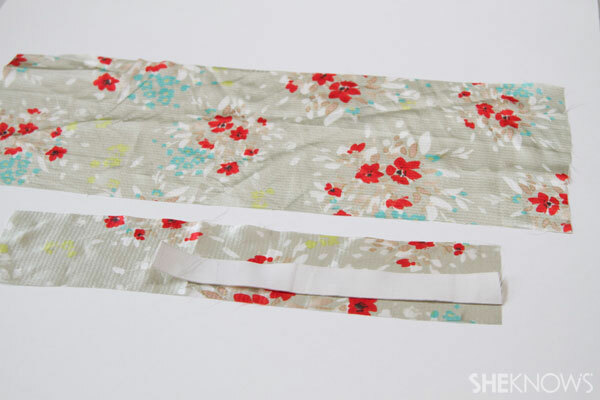 Cut another rectangle to make your back elastic casing, size 10 inches x the width of your elastic plus 1/2 inch. My elastic is 1 inch, so my casing width is 1-1/2 inches (the 1/2 inch is for seam allowance). 3. 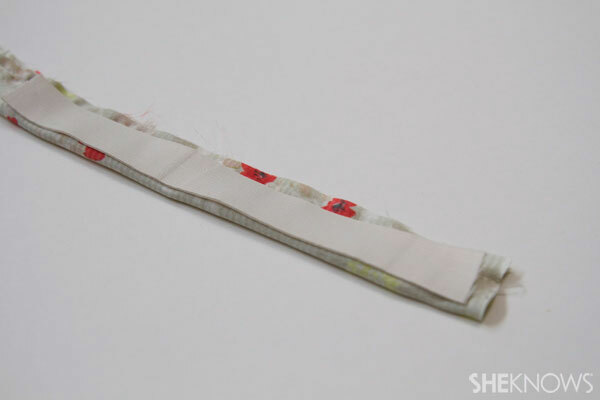 Sew your elastic casing right sides together along the long edge, taking a 1/2-inch seam allowance. 4. 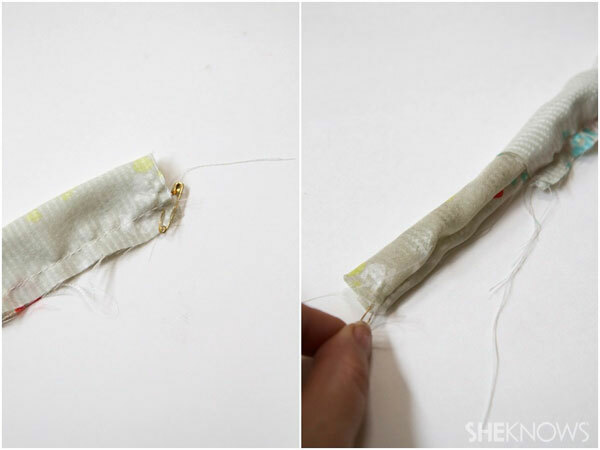 Using a small safety pin, turn your casing right side out. 5. 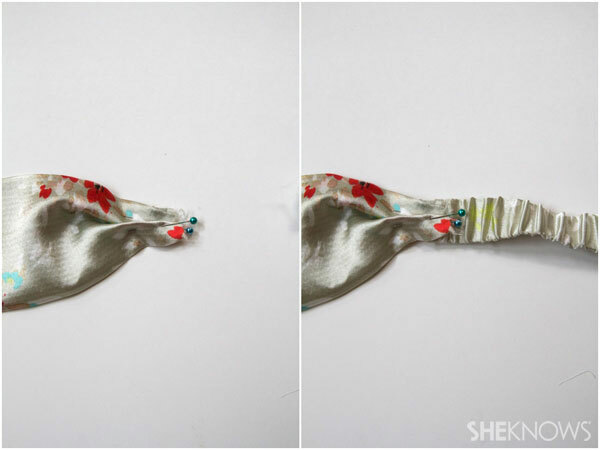 Again using your safety pin, thread your elastic through the casing. Before pulling it all the way through, sew the end of the elastic to the end of the casing, keeping the seam in the middle. Then pull it all the way through, creating a nice gather, and sew down the other side the same way, holding elastic and material together. 6. Sew and flip your front piece the same way you did your casing piece, then iron flat, again keeping the seam in the middle. 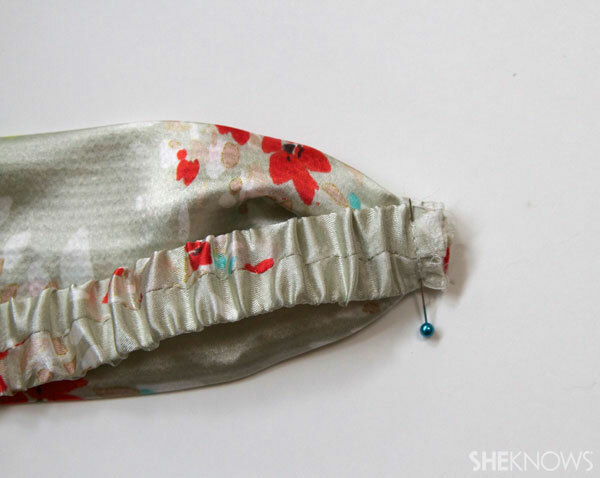 This seam will be on the back side of your headband. 7. 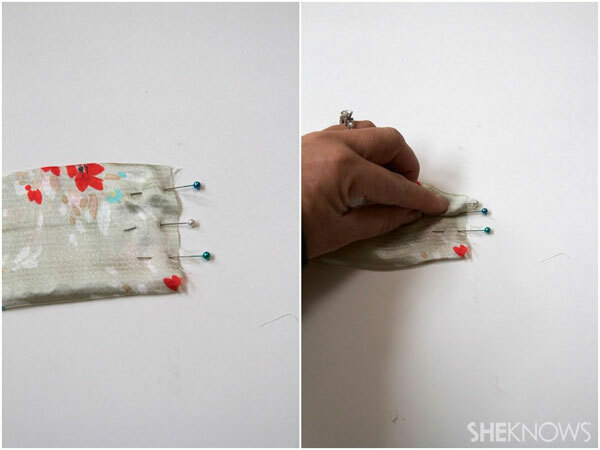 Use pins to mark the ends of the front piece, dividing it into fourths. Fold the top into the middle, creating a tuck, and then the bottom into the middle, creating a second tuck. 8. 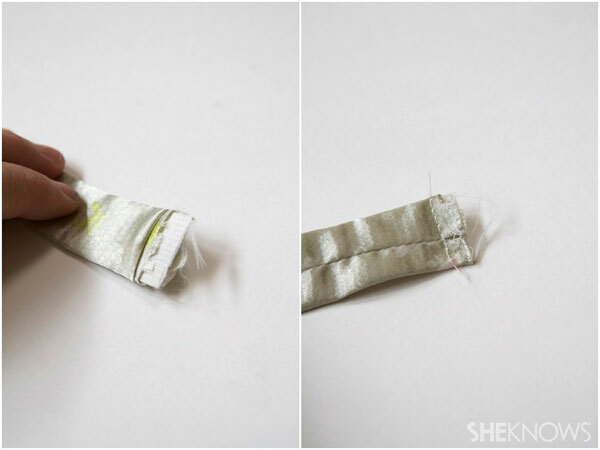 Make sure the width matches the width of your elastic. Pin the right side of the front piece to the right side of the back piece. 9. Sew the front and back pieces together. 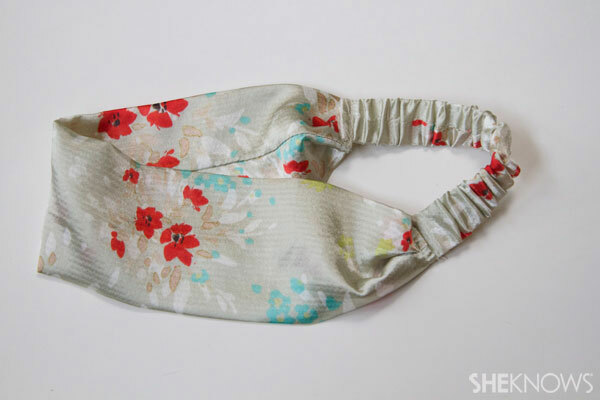 Before you sew the second side the same way, check the fit and make any adjustments needed. If you need to shorten, simply trim the front or casing piece to make it smaller. 10. 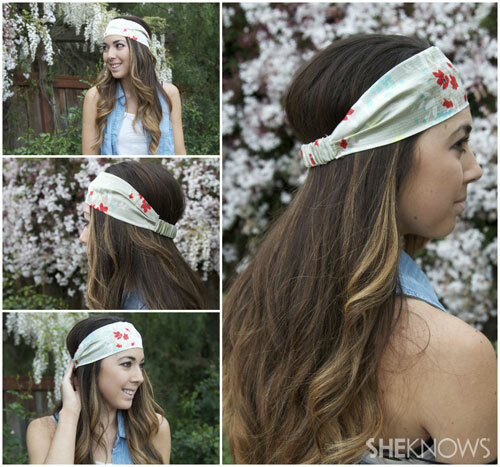 Once both sides are sewn down, your headband is ready to show off! Don’t forget to save all your little scraps for projects like these. This little gem of a scrap was the gift wrap for a hostess gift someone brought to me recently. I’m sure they didn’t realize how it could be turned into a gorgeous little headband, but it always pays to think resourcefully! Originally published April 2014. Updated October 2017.